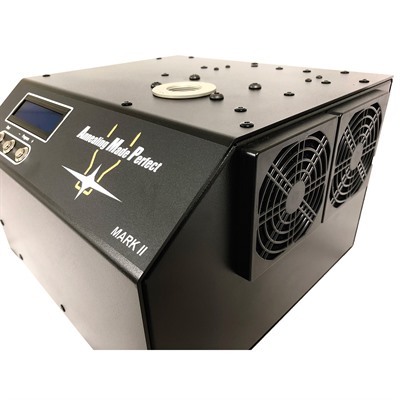 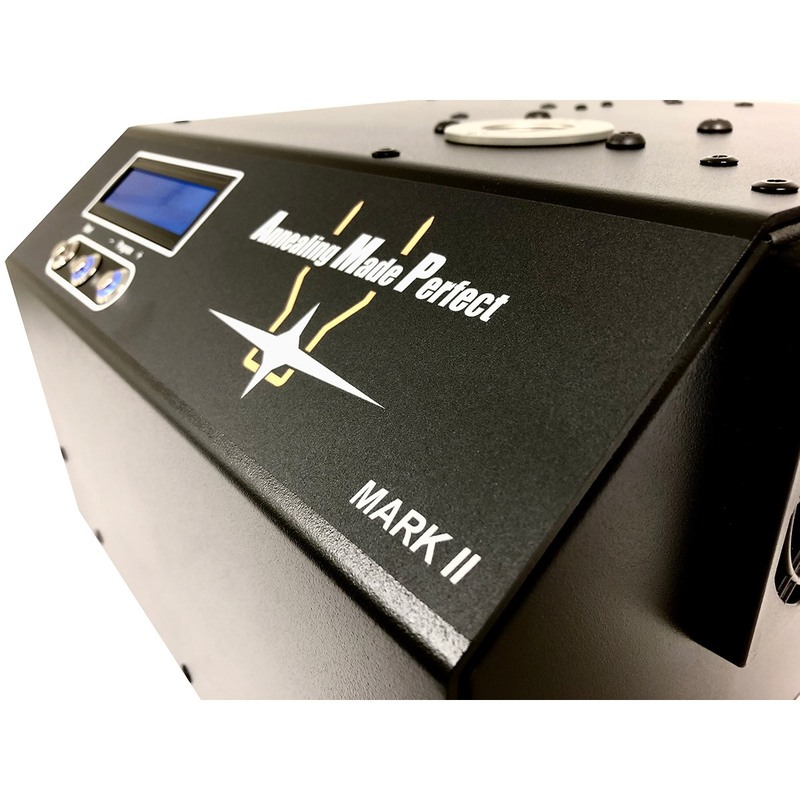 The Mark II AMP Induction annealing machine adds some advances over the original Mark I. 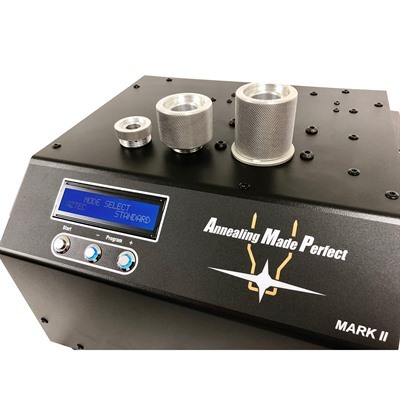 First off, the Mark II annealer now works with cartridges from 17 Hornet to 50 BMG. 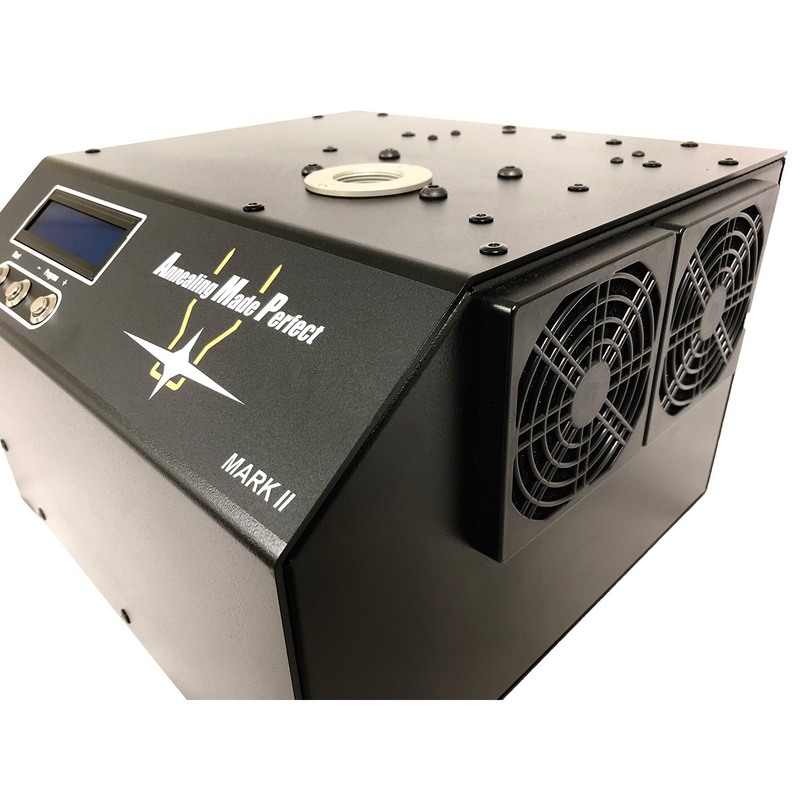 Additional air intakes and upgraded cooling fans provide improved airflow and better cooling for extended annealing sessions. 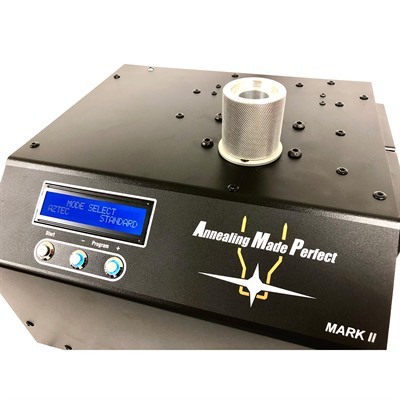 Possibly the most exciting feature of the Mark II annealer is the additiona of pre-loaded AZTEC mode allowing users complete independence in determining the exact, correct annealing setting, regardless of cartridge, brand neck wall thickness or lot. 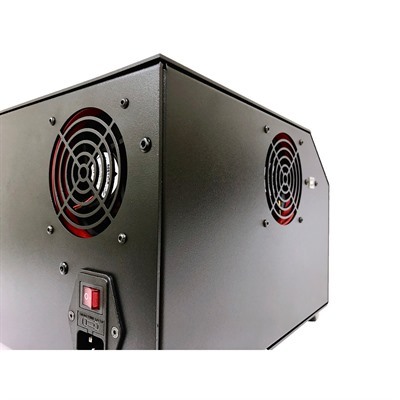 Larger inductor to suit 50 BMG. Capable of annealing everything from .17 Hornet to 50 BMG. Ceramic heat shield in the inductor to aid in heat management. Superior cooling allowing near indefinite run time on smaller cases such as 223. 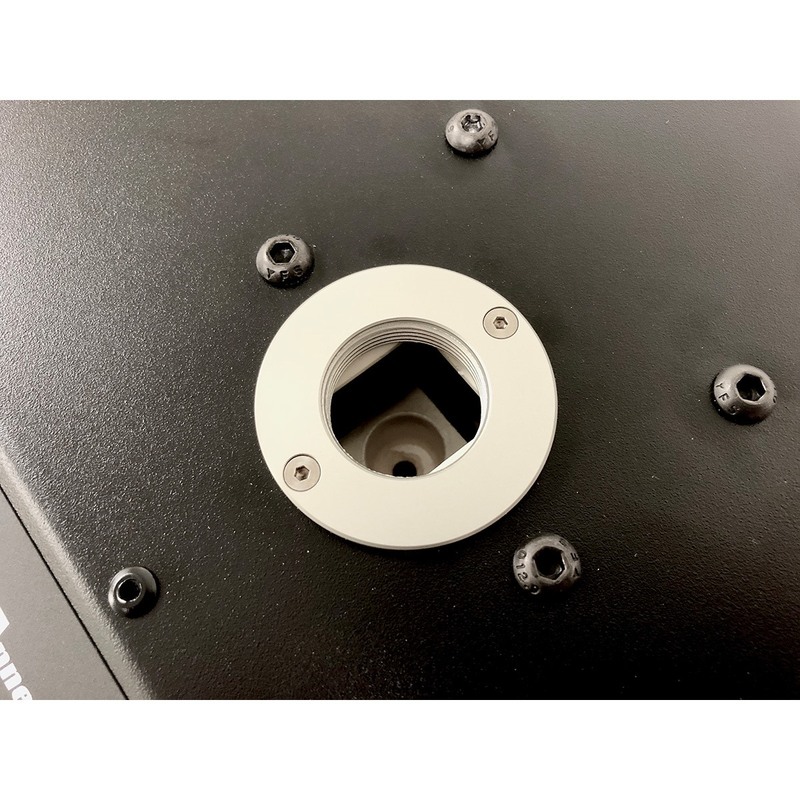 User replaceable pilot boss should the existing one get cross threaded or damaged. 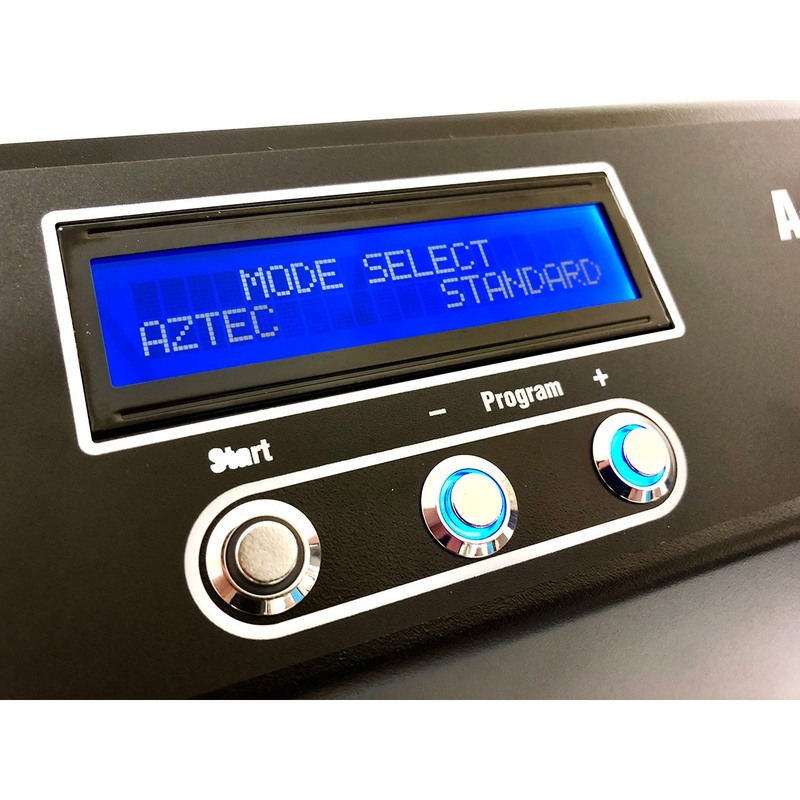 AZTEC MODE included and ready to use.